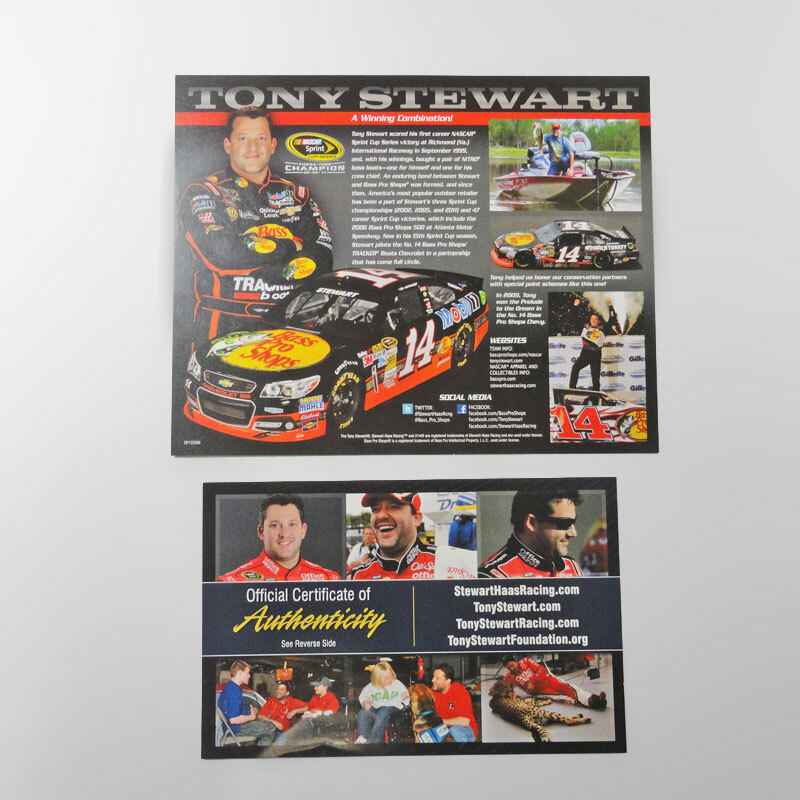 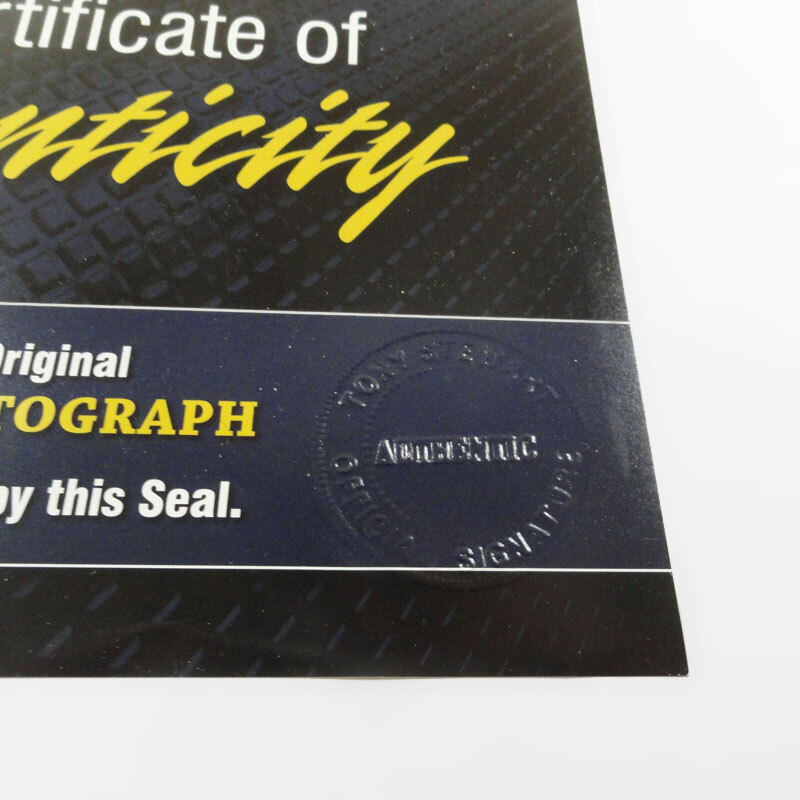 High gloss color photo card of Nascar driver Tony Stewart wearing sunglasses, standing in front of his No. 14 Bass Pro Shops / TRACKER Boats Chevrlet SS race car. 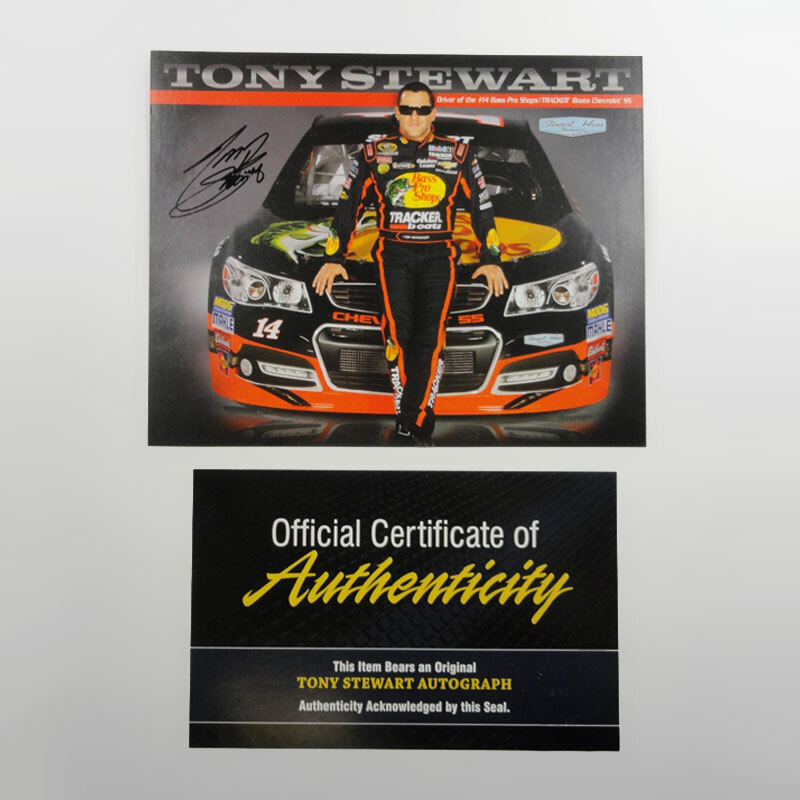 The back tells about Tony’s relationship with Bass Pro Shops and his accomplishments with them.